Laura Ingraham will return to her show “Ingraham Angle” next Monday in spite of an ongoing advertiser boycott, according to Fox News. “We cannot and will not allow voices to be censored by agenda-driven intimidation efforts. 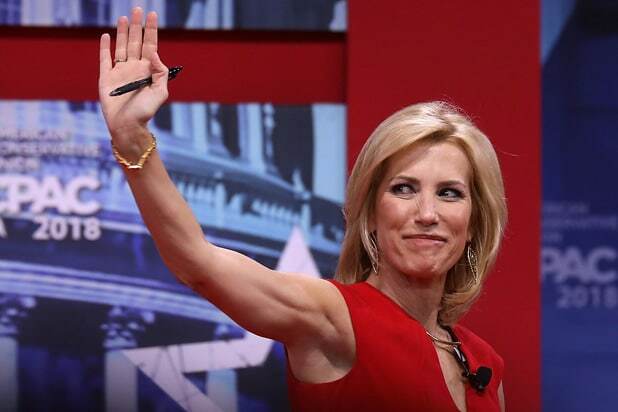 We look forward to having Laura Ingraham back hosting her program next Monday when she returns from spring vacation with her children,” Fox News co-president Jack Abernethy said in a statement. The “Ingraham Angle” host announced on Friday‘s show that she would be taking what she described as a pre-scheduled Easter vacation for a week amid increasing pressure from a boycott effort led by Parkland shooting survivor David Hogg. The timing of the vacation raised speculation that Ingraham was following in the footsteps of Bill O’Reilly, who was ousted from the network last year after reports of numerous sexual harassment settlements. The “O’Reilly Factor” host took a vacation once advertisers started bowing to public pressure to drop their spots from airing his program. He never returned to the air. Ingraham was roundly criticized last week after she publicly mocked Hogg, a survivor of the Stoneman Douglas High School shooting, for being rejected by several California colleges. Hogg responded by encouraging his followers on Twitter to contact her advertisers. The apology was rejected by Hogg. By Friday, at least a dozen companies had pledged to cease their advertising on the show, including Bayer, Hulu, Johnson & Johnson and Liberty Mutual Insurance.